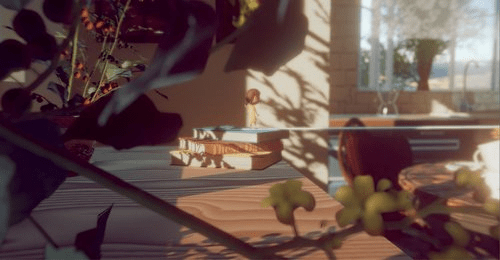 Where the Bees Make Honey is a multiplatform Xbox ID@ title where the title character, Sunny, dives into her own past through a series of memories that are created as a solo effort by developer Brian Wilson and narrated by co-writer Alexandra Duparc. As Sunny and the player go further and further along the story of Sunny’s childhood, the player experiences both puzzle elements (playing as a child-Sunny dressed in a bee costume) and various gameplay mechanics, such as driving around an RC vehicle and playing as a rabbit. 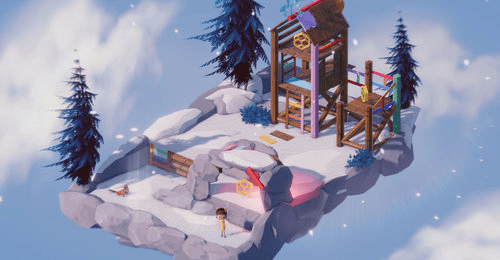 I met up with Brian Wilson during GDC 2019 as part of the Indie MEGABOOTH and talked with him not only about the gameplay mechanics of Where the Bees Make Honey, but his own personal connection to Sunny’s story, and more. You can check out the official Where the Bees Make Honey website and follow on Twitter for updates. You can also follow Brian Wilson at his official Twitter account. You can also check out more about ID@Xbox and their latest announced titles on their official Twitter. You can check out my own hands-on impressions of Where The Bees Make Honey here. Where the Bees Make Honey is set to be released tomorrow (March 26, 2019) on Xbox One/Xbox One X, PlayStation 4/PlayStation 4 Pro, and PC (Steam). Brian Wilson: Hey, I’m Brian Wilson. I’m the solo developer on Where the Bees Make Honey. OR: What is Where the Bees Make Honey? 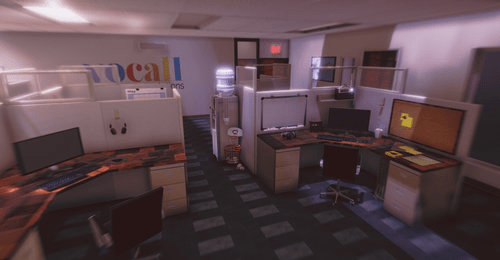 BW: Where the Bees Make Honey is a narrative puzzle experimental game that tells the story of a woman named Sunny, who is ultimately at a crossroads at a dead-end job. She’s having a moment where she’s basically reflecting on these different periods of time [from] when she was a child, and you get to play those moments. OR: There are a lot of different viewpoints and type of puzzles in Where the Bees Make Honey. What inspired the game- not just the art style, but the various mechanics themselves? BW: At first, it started with the idea that I could have a cube and there could be something on the other side of the cube. If somehow the camera rotated, or you rotated the cube, you would be able to see that ‘thing’ – like maybe a door. And it just started at that initial reveal, that goal that I knew I could accomplish. So, it really all started from there, which allowed me to become comfortable with Unity – the engine I’m using- and just explore the different mechanics. But I just wanted to get a character to move on screen. OR: [Where the Bees Make Honey] is an ID@Xbox title. How did you first get involved working with Microsoft? BW: Basically, their communication process is great. I just think they make an effort to reach out and work with indies, small or big. So that process was very easy, very good, and we’re just really happy with that relationship. OR: Alexandra Duparc co-wrote and narrated Where the Bees Make Honey. How did you get involved with her in making the game? BW: That’s great research! No one knew that. So I’ve known Alex- who is the co-writer and voice actor of my character, Sunny- we’ve known each about five years or so. And we’ve tried working on a project back then, and it never saw the light of day. But I knew that I could always go to her for advice or help with creative projects, and she’s based in Los Angeles and has a really good grip on that community. So I really just utilized her different talents. And it was an easy process. OR: What’s your favorite level in Where the Bees Make Honey? Why? BW: That’s a great question. I’d say…the summer puzzle level. It has this low-poly water. No matter how many times I’ve seen the game -and I’ve made the game- every time I see that level, I’m very proud of how it looks. It still surprises me. That will always- that’s my favorite level. 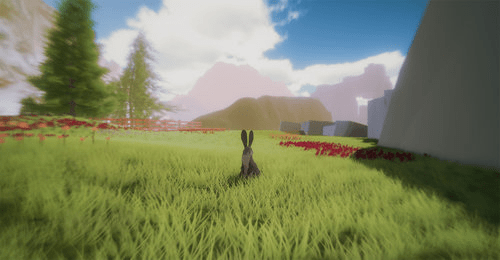 The [level] Spring Vignette, where you can control a rabbit, is my favorite voice-acting and performance. I think I pair a really good and interesting story bit with that. It’s not really conventional. So, out of all the levels, those two have really stuck with me. OR: Donald M. Murray once wrote “All my writing – and yours- is autobiographical.” What of yourself do you see in Where the Bees Make Honey? How did that influence the game’s creation and development? BW: It a personal story, but I think that’s why I really stuck with being a solo developer. Because I don’t know if this game would be the same game if it were made by us as a team. 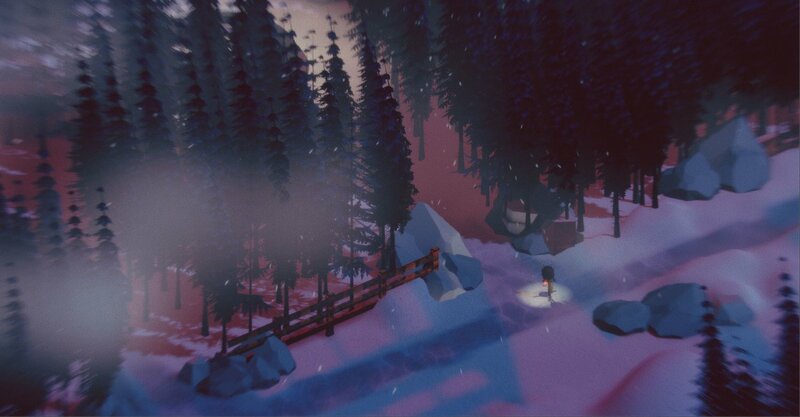 So it really came from having [a] different respect for where I grew up – just, originally, the story was about that I never met either of my grandfathers, and I wanted to use a video game to somehow replicate what they would feel like. So I liked the idea of a grandfather figure and a small kid, and doing something with that. The game [and] the story shifted from that, but it always came from these child-like dreamworlds, and the rest is history. OR: Why a bee costume for Sunny? BW: Originally, it was a bird’s mask. Just some kind of colorful mask, and she had a red dress- it was the same model. But I knew that the game needed an identity, and it also pairs with the title. And I honestly just picked up a book on bees one summer, and it just kind of ‘fit’. It was just enough to where I liked it, but I didn’t know too much about it. And then it just – and again with the title- that’s just, I can work with this. People can recognize and remember the game, because it has a face to it now or a costume. OR: Did the storyline come first, or the world itself? Did one influence the other? And again, something about a kid and ‘what if it rotated?’. And it’s cool to see it actually happen now. OR: Where the Bees Make Honey was successfully funded on Kickstarter late last year. What was your Kickstarter experience like? BW: Yeah, that was a roller coaster. So we were raising five-thousand. We were successful with over six-thousand, three hundred. We prepared a lot for that. We hired a small video production team to make the actual video, we really prepared on all the assets and the rewards for a long time. I’ve never done a Kickstarter. I never thought I would do a Kickstarter. But now that it’s successful, I really appreciate that. Usually, you get most of your money within the first two days, week even, and then it kind of plateaus until the end. And our Kickstarter did not follow that. We would hit a boost, plateau for awhile, and then hit another boost. And there was a good- to be honest- period when I didn’t think it was going to be successful. But it was amazing to see our partner, Anya, at the Kickstarter for Games team, and different members of the community actually want to see this game happen and actually spread it and fund it. And that’s because they didn’t have to do that. They didn’t have to believe and fund our project, so I really appreciate it. OR: This game demoed yesterday at the Indie MEGABOOTH at GDC. What has the response [been] like, so far? BW: It has been great! As weird and experimental and different [as] the game can be, people like that. People like seeing the fact that the joke is that each time they look at the screen, there’s a different ‘game’ on screen. But it always comes with people finding new problems and knowing that they have to be addressed, because I don’t want anyone to have a bad experience playing [Where the Bees Make Honey]. So it’s not that people have to like the game, of course, but I don’t want them to not get through it or feel frustrated or be prevented from actually continuing. But otherwise, the response has been very good. In addition to the world-rotating puzzle-solving memories in Where the Bees Make Honey, there are also platforming sections in these ethereal-dreamscapes for Sunny to navigate. (Image courtesy of Whitethorn Digital). OR: What platforms will Where the Bees Make Honey be coming out on? BW: On March 26 – which is a Tuesday- it’ll be on PlayStation 4, Xbox One, and Steam. OR: Any Switch or Stadia plans? BW: No comment. We have access to the Switch development kit. We’re definitely – if it’s possible, that is going to be something we’re going to try, but it will not be releasing on Switch on Day One. BW: I’d like to think that I’d take a break. But it’s strange that the same thing that gives you so much joy gives you so much pain. But it’s basically just starting to make the next game. So I’m literally just in the super-early stages of that project as I’m realizing just what is possible and what I can do. And kind of starting to form some ideas and prototypes soon. That’s literally what I’ll be doing next. And obviously, just supporting Where the Bees Make Honey and always tweaking it and updating it and making sure that it’s as good of an experience as possible. Sunny goes back through her memories throughout multiple seasons in Where the Bees Make Honey. (Image courtesy of Whitethorn Digital). OR: Last question- those people who may have just seen Where the Bees Make Honey walking by GDC or may have seen something online and are interested in picking up the game, what do you have to say to them? BW: I’d say that I’m thankful for anyone who is just looking at the game and obviously playing it. And taking time at GDC to stop at the Indie MEGABOOTH, which has been an awesome event- it’s my first time here. It’s cool that a little thing I’ve made by myself has grown, and that people now are going to be able to buy it. And I’m really thankful [for] the indie devs and the community that understands and respects each other. Are you planning on picking up Where the Bees Make Honey when it is released tomorrow?